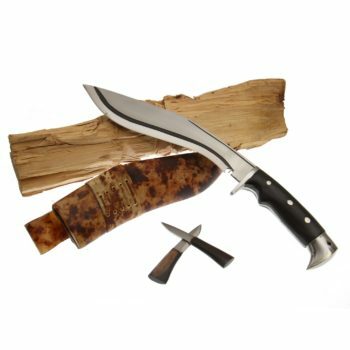 Custom made khukuri are one of the best selling khukuri of Gurkha kukri knife. 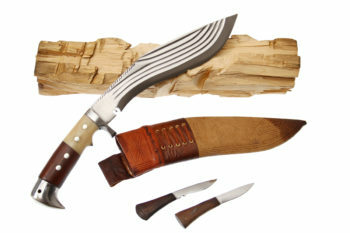 The Kukri which can be spelled and pronounced either Khukri or Khukuri as well is a national weapon of Nepal which is traditionally made by hand by skilled craftsmen of Nepal. The blade of custom made khukuri is made of strong and durable metal which is curved inwardly in shape. Khukuri has been on use from centuries in Nepal as a combat weapon and also used for household works. It was, and in many cases still is, the basic and traditional utility knife of the Nepali people and symbolic weapon for all Gurkha regiments throughout the world and Nepal Army signifying the courage and valor of the bearer in the battlefield. Our collection of custom made khukuri has a range of khukuri of different design, Shapes, use, material and of different size. If you want any specific design then you can email us at info@gurkhakukriknife.com with specification regarding design and materials and we shall produce it as you desire. 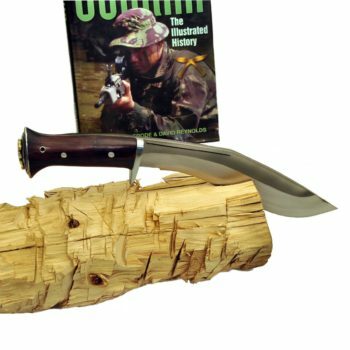 We are the trusted and certified supplier of Gurkha khukuri all over the world. We offer FREE shipping for the USA, UK, Canada, Australia, New Zealand, South Africa, Spain Germany and other countries as well.